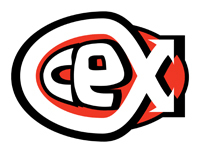 "Independence, running a business we love"
Stuart Dixon and Trevor Finlay are an ideal professional team, thanks to their respective backgrounds and chose a CeX location in Northern Ireland for their first collaborative business venture. Gareth Samuel investigates how these two hardworking franchise owners have carved out impressive success. As with any business, the pair has had to overcome obstacles on the path to success. Trevor adds: “The impact of the decline in cross border trade from the Irish Republic had a detrimental effect on many retailers in recent times. However, regardless of the uncertainty, CeX’s model continues to grow successfully and they are now growing in Ireland too, which can only help things further in future.” Needless to say, as Ireland’s economy recovers and grows, their business prospects are looking very good indeed. Looking forward, both Trevor and Stuart are united in their goals to expand further and are not shy about vocalising their adulation for CeX as a business. 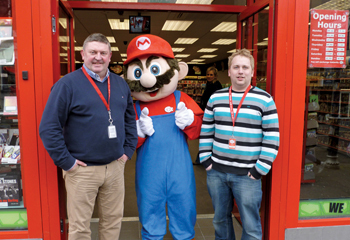 “It (CeX) has given us both independence running a business we love,” explains Trevor.